Today’s post is just to quickly let everyone know that the Oak & Iron Kickstarter by Firelock Games ends this Wednesday (December 5, 2018) at 4pm EST. That means that if you want to participate in the Kickstarter, you have to get in fast! The image in this post are from Firelock Games. So what does the base pledge get you? The image above shows what currently comes in the core box for Oak & Iron. What Can Still Be Unlocked? 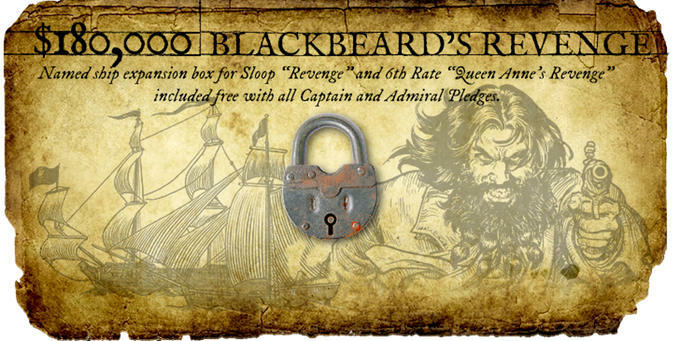 As of the time of this post, Firelock Games still has a stretch goal for us to unlock. If there is another one after that one, I do not know. Hopefully there will be, but time will tell. Above is the current Kickstarter Goal still left to unlock. If unlocked, these two ships become a potential add-on expansion that people can add to their purchase. 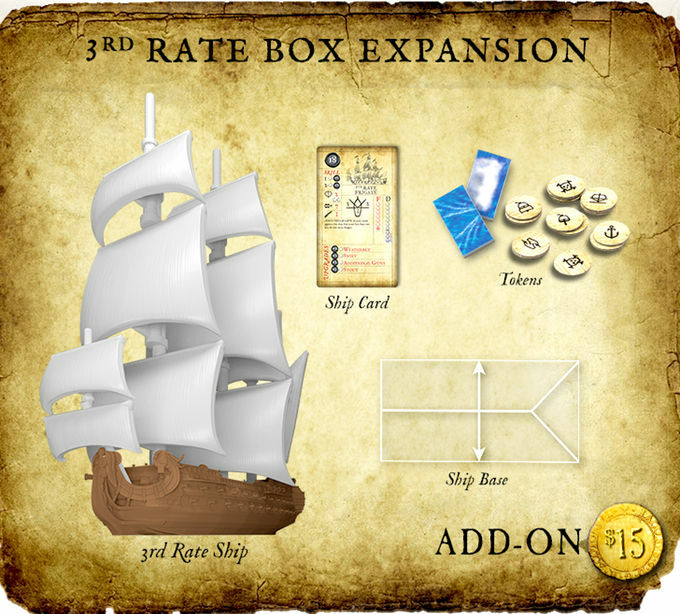 Speaking of add-ons, there are a number of expansions that you can choose from in this Kickstarter campaign. 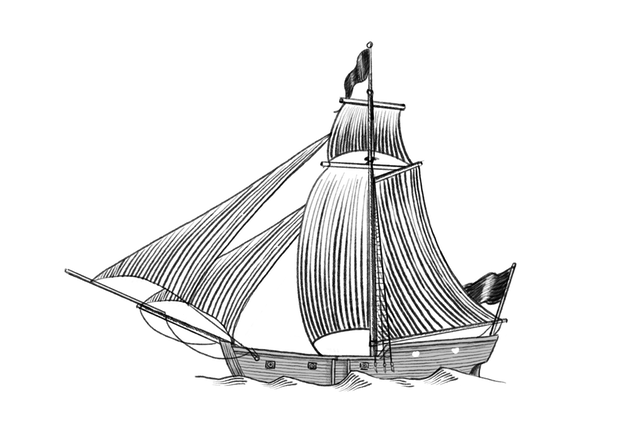 The Third Rate Ship happens to be the most used warship (historically) for ships of the line during the time and setting of Oak & Iron. 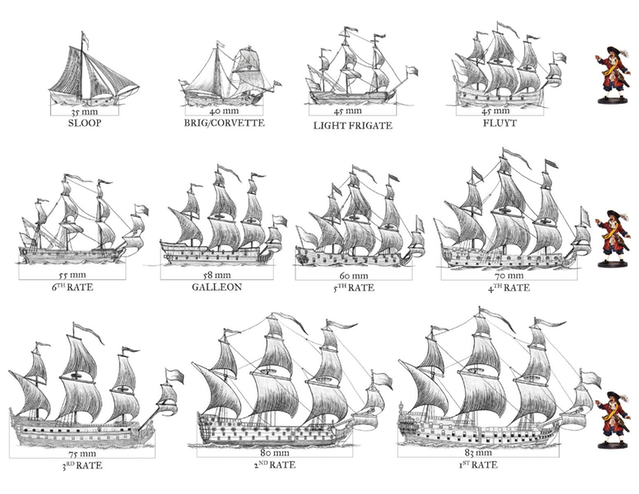 Originally, you would receive one of these ships in an expansion along with two different ships. A number of people asked to be able to build a fleet of 3rd Rate Ships and Firelock Games listened. 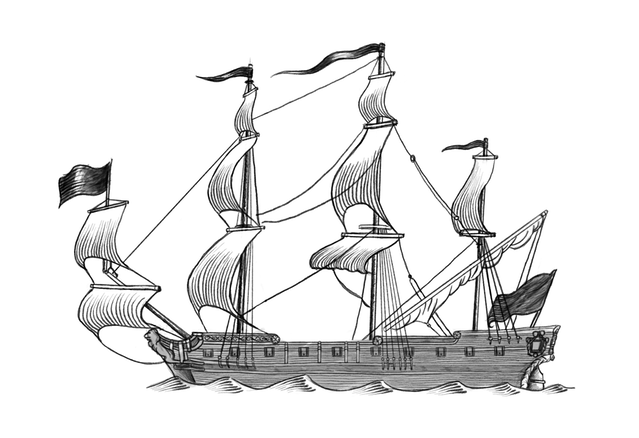 This ship is now available individually too. This ship is now available individually or in an expansion with two other ships. 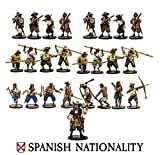 Are there Scale Comparison Pictures? 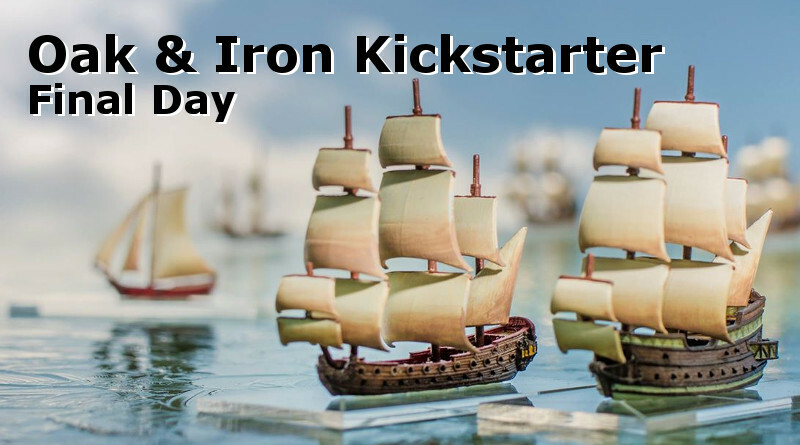 Personally, I think there should be some scale comparison pictures on the Oak & Iron Kickstarter page, but I did not see them there. They did post some on their Facebook page though. Below are those images. 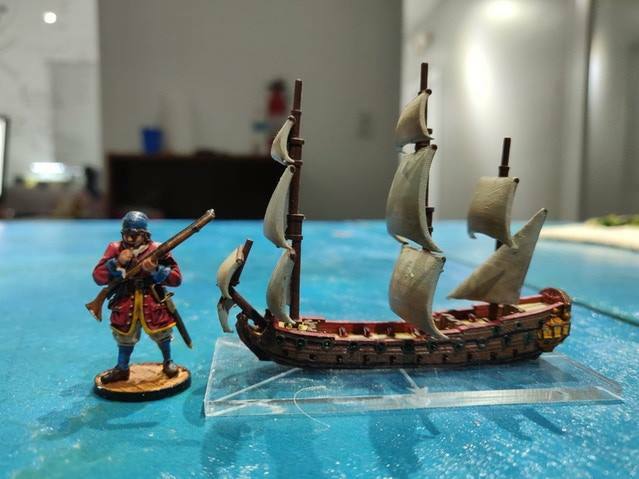 Scale Comparison Pictures of the Oak & Iron Ships to a Blood & Plunder 32mm miniature. 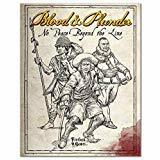 An image of an Oak & Iron Ship beside a Blood & Plunder Miniature. 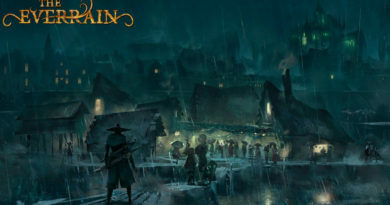 The Oak & Iron Kickstarter wraps up this Wednesday (December 5, 2018). If you are interested in participating, be sure you check it out before the end of the project. As always, be sure you are aware of (and okay with) the risks associated to backing a Kickstater project. Unitl next time, Happy Gaming Everyone!! !